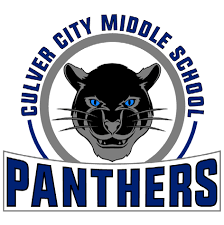 Panther Partners is a parent-run 501(c)3 charitable non-profit which raises funds to benefit Culver City Middle School. We run after-school art, athletic, and academic programs, sponsor campus beautification projects, purchase technology upgrades for classrooms, and support CCMS in many other ways. Panther Partners of CCMS Tax ID#: 26-3520915​. Join our Facebook Group! There is also a CCMS Parents Facebook Group! ​​​Panther Partners can always use your help!!! ​ Contact Us to find out more information or check out the Volunteer page. Our main fundraisers are our Annual Giving Campaign, the Spring Jog-a-thon-like event, parent donations, grocery cards, and Amazon Smile. Please register your grocery cards at www.escrip.com and for Ralphs at www.Ralphs.com. It takes just a few minutes to register or renew and it’s an easy way to raise money for our programs! Panther Partners is a part of Amazon Smile. Go to smile.amazon.com, search for Panther Partners of Culver City Middle School, and select it. When making a purchase through Amazon, you must use the smile.amazon.com address for the school to get the credit.